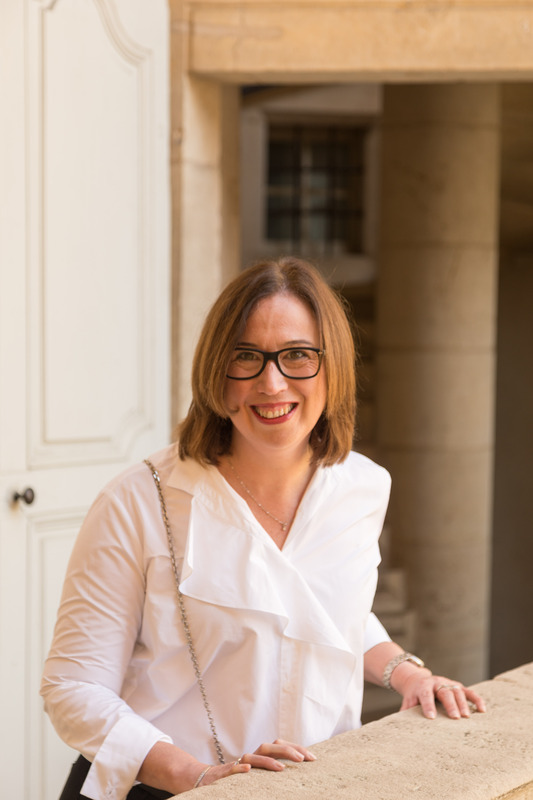 Let’s wrap up what turned into a series of reviews with a couple of ‘mini reflections’, highlighting two of my favourite things – Parisian style and French footwear. First up, why don’t we take a look at my new favourite French Footwear brand – Arche? In this post on The Essentials Of Stylish Travel, the focus was on comfortable shoes. And I mentioned that I’d recently discovered the French brand Arche. A little ‘on-line review research’ suggested that these particular shoes, which feature a unique rubber sole, were especially comfortable. Via the summer sales here in Australia, I managed to pick up two pairs of Arche shoes to try – a pair of black boots and a pair of golden metallic ballet flats. It has been way too warm here to even consider wearing the boots. But the flats, on the other hand, have been on very high rotation. And these shoes really are as comfortable as the reviews suggested. The ballet flat itself is super supportive, and the rubber soles seem to act as shock absorbers. Whether I’ve been standing or walking in these flats, my feet have been happy. And I’ve given them a decent test, wearing them for work and play. They’ve been great when I’ve been marching around the city, and I didn’t get foot sore when I wore them on a full day winery tour. Pleasingly, they were perfect right from the very first wear. There was no need to ‘break them in’ and I didn’t have any of the rubbing issues I sometimes get with ballet flats. The leather uppers are very supple and the leather seems to be of a high quality. Given how much I’ve been reaching for them, they seem to be wearing quite well, although only time will tell on that front. I’ll be interested to see how they go after spending a few weeks on European cobblestones during spring. For right now, I’m looking forward to trying the boots. And I promise to let you know if they also turn out to be as wearable as the flats. Published: 2016 by Dessain et Tolra. Soft Cover, 128 pages. I was so excited to receive this little book, which was recommended to me by my fabulous French teacher. I had to wait three weeks for it to wander in from the other side of the world, as I couldn’t find it in an E-book format. But it was absolutely worth the wait. And as far as French reading assignments go, it is definitely the best I’ve ever been given! If you haven’t guessed already, my version of the book is in French. It’s actually not available in English, however, you can purchase it in Japanese – author and blogger Noriko’s native language, But despite my still emerging French skills, I’ve been loving this book. 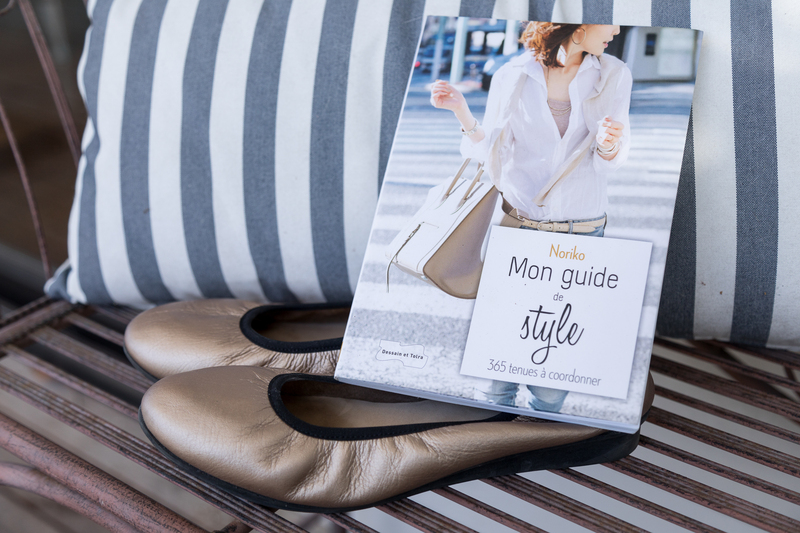 Packed with tips for nailing colour combinations, dressing for your shape and accessorising, Mon guide de style dispels the notion that French women neither need or desire advice on dressing stylishly. Laid out around the seasons, Mon guide de style is packed with images. With a relatively small number of clothing items, Noriko shares hundreds of different outfits. She also provides some clever styling tips and makes suggestions for capsule wardrobes. Noriko certainly has her signature style nailed, with many of the outfits revolving around jeans and other casual items. I’d go as far as to say that if you are searching for advice on work-wear or corporate style, this book may not deliver. However, if you are looking to take your casual or weekend wear to the next level, then this book is made for you – even if you don’t speak French. Have you ever come across French footwear brand Arche? What about Noriko’s Mon guide de style? I’d love for you to share your thoughts on either topic (or both!) in the comments section below. Please note – this is an unsolicited post and no compensation of any kind has been received from Arche, Noriko, Dessain et Tolra, associated publishers or distributors. I have a pair of Arche flats, comfortable from day one. Hey Claire. It’s nice to hear that your experience with Arche shoes was similar to mine. I hope the black boots I have sitting in the wardrobe are as easy to wear. Arche ballet flats are very comfortable. I had a pair for years. My favourite French shoes are by Thierry Rabotin. I’ve got two pairs left from a trip to Paris 5 years ago and I wear them often. They are not cheap but worth the money. Thanks Joanne. It’s good to know that your Arche shoes had some longevity about them. I’ve read about Thierry Rabotin shoes on other blogs…might be time I did some actual research into them. When names start popping up over and over you know it is time to start paying attention!! Yes, Arche shoes are great! Repetto also has some great ballerinas (for walking; they also do real ballet shoes). Re books: Have you read “Bonjour Tristesse,” written by Françoise Sagan when she was just a teen? Also, “Le coeur n’a pas de rides,” by Marina Rozenman, a collection of true stories about couples who found love late in life. Good for an advanced beginner French level. Thanks so much for the reading recommendations Catherine. I’ve read neither, but now that I’ve worked my way through this first ‘real’ book, I’m keen to read more. Onto the shoes…I’ve owned a few pairs of Repetto flats over the years and I still wear a red patent pair relatively regularly. I find though that they rub my toes a little and they just don’t provide as much ‘shock absorption’ as the Arche flats. That said, they are still some of the best flats I’ve ever owned.